Since writing my introductory post, I have been hard at work compiling a list of allergy related subjects that I would like to write about, and recipes I would like to share with you. Before I start posting recipes, however, I want to lay a little ground work. 1.) I value your knowledge, and I know my readers will as well! I have been baking without a number of common allergens for quite some time now, and although I consider myself to be experienced and confident in my baking skills, I am still learning (and I suspect I always will be). I will be sharing ingredients and methods that I personally like, and things that work for my family, but these lists are far from all inclusive. If there is an ingredient, product, or method that you swear by, and I have not covered it in one of my posts, please don’t hesitate to share it in the comment section below the relevant post. I am always eager learn a new way of doing things! 2.) Even if you read my posts and don’t feel compelled to chime in with your own suggestions, you may find reading about why I choose particular ingredients when baking to be helpful if and when you try one of my recipes. Many of my recipes are flexible, and the ingredients are easily adapted to accommodate additional dietary restrestrictions (or just whatever ingredients you may have on hand), but nonetheless, I am quite meticulous when it comes to choosing the ingredients I use. If you ever find yourself wondering why I chose one ingredient over another, the information provided in my Allergy Friendly Substitutions Series will likely provide you some insight into why I choose the ingredients I do. Last, but certainly not least, when reading through the following posts always make sure that a particular substitution is a safe alternative for your family’s unique allergy situation. I’ve said it before and I will say it again, what works for my family and I may not work for yours. 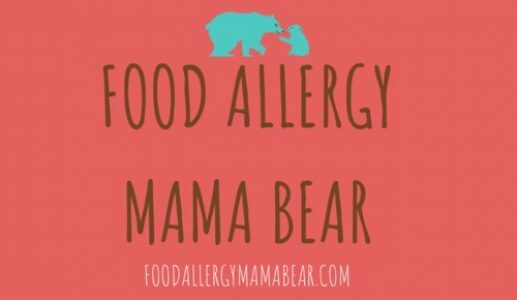 If you are unsure if a particular ingredient will work for you, please check (and double check) any and all labels, call manufacturers if need be, and always make sure any new ingredients and products are approved by the medical professionals handling you or your child’s allergy related care. While I hope you will find my suggestions helpful, my advice and recommendations are in no way meant to replace or supercede those of you (or your child’s) allergist, dietician, nutritionist, or other health care provider.